In many years as an ethics consultant, I have seen my share of ethically challenged leaders in both business and government. Most do not sustain success, but some do. But I have also worked for highly ethical individuals who have risen to the top of their organizations. There is much to learn from those who match ethics and success. 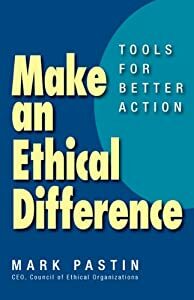 Here are some lessons based on observations of ethical business leaders. Say less but say the truth. When you are a CEO, every word you say is measured by your employees, doubted by journalists, parsed by analysts and weighed against laws and regulations by a hungry plaintiff’s bar. You are not entitled to many opinions as any expressed opinion will be mined for potential insight into what your company will do next. This is why CEOs are often quiet on issues of the day. When they speak, they are speaking for their companies and not themselves no matter how hard they try to separate the two. Ethical leaders avoid half-truths and lies by saying less. They limit what they say to what they know – or think they know – to be true. Four additional lessons from ethical leaders will be shared in future posts.